The Alliance for Water Efficiency (AWE) has produced new communication tools to help water utilities more effectively communicate the value of the water service they provide and demonstrate how efficient water use keeps water affordable and available today and for the future. A new video, entitled “Water: What You Pay For” explains the water service a typical residential water bill covers, and the costs of delivering a consistent, reliable flow of safe and affordable drinking water to customers. AWE has also published a Water Rates Message Plan to help water utilities communicate why rates may be rising or changing, even as customers are being asked to conserve. 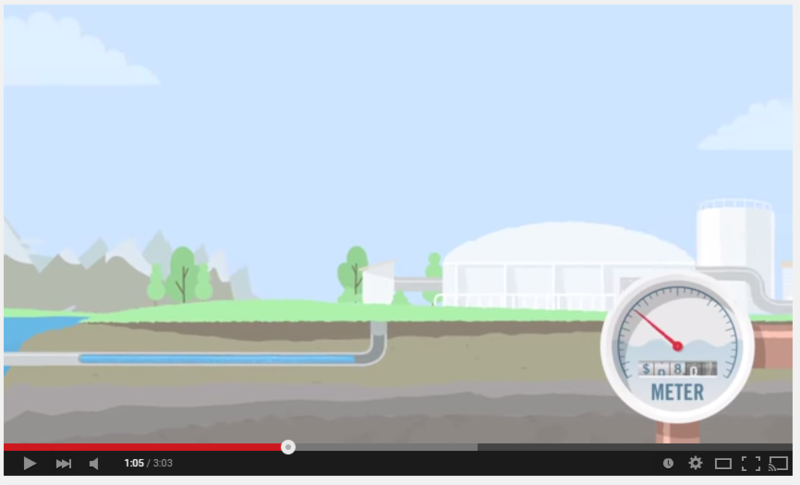 The video follows water from the source to the faucet, and explains how water utilities withdraw or purchase water from the source, treat it to high-quality standards, distribute it to businesses and homes, manage wastewater and provide ongoing customer service – all while maintaining vast infrastructure systems. It highlights the incredible value of water service compared to many other services, such as electricity and internet, and explains how paying for water – and conserving it – is an investment in a sustainable water supply. These resources are part of AWE’s Financing Sustainable Water initiative to identify and disseminate solutions to help water systems balance revenue management, resource efficiency and fiscal sustainability. AWE solicited input from water managers across the country through its Education and Outreach Committee to develop these resources.